While monster truck racing games have come and gone, there's quite a few that have stood the test of time. Here's some of the greatest monster truck video games around, from PC to iPhone. It was 1996 and and Windows 95 was newly available, enticing DOS users to a GUI-based operating system that could play 3D games with impressive rendering capabilities. And Monster Truck Madness perfectly demonstrated a powerful new operating system worth checking out. 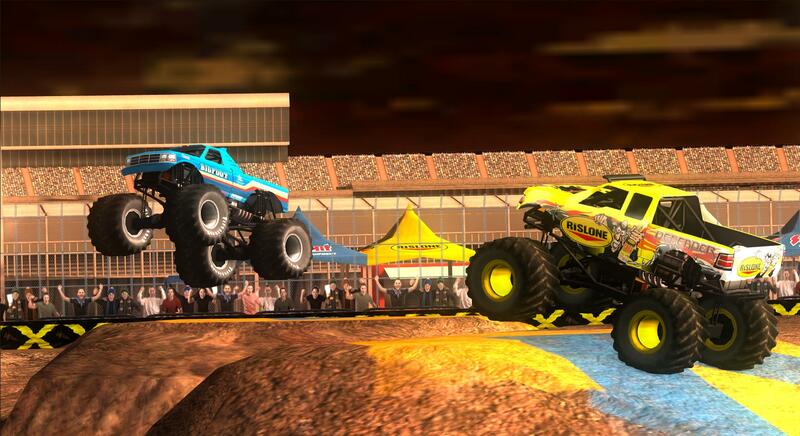 In Monster Truck Madness, players face off against one another in races by choosing among 12 real monster trucks. The game performed very well for a 1996 racer and featured graphics that seemed quite ahead of their time for the mid-90s. With smooth framerates and even an instant replay feature, Monster Truck Madness stood out, and it later inspired both a sequel and a few console spin-offs. By today's standards, Monster Truck Madness hasn't aged as well as some of its competitors: The game's graphics look blocky and its physics are far from realistic. But Monster Truck Madness was an inspiration for racing games in the 1990s, and its influence can still be felt today, long after its release. Monster Truck Destruction's PC version. Image via Merge Games. It's one thing to play monster truck games on a PC or console, but between work, school, and commuting to both, having a game to play on the go is essential. While there's plenty of mobile monster truck games out there, Monster Truck Destruction is one of the best to date for smartphones thanks to its impressive 3D graphics and realistic physics. Available for both iOS and Android, Monster Truck Destruction lets players drive over 60 different monster trucks in four different championships, ranging from freestyle events to drag races. Vehicles handle realistically and the game features real licensed monster trucks, including the classic star Bigfoot. Based entirely in 3D, Monster Truck Destruction lets players do everything from crush cars to perform wicked stunts throughout 28 different tracks, making this a pretty comprehensive mobile game to pick up and play while on the go. The game's mobile version is free, but players can purchase additional trucks through the game as microtransactions. Meanwhile, a paid PC version is available on Steam for $4.99 with 30 trucks to play with. If you're familiar with the Monster Jam television show, then this game will sound highly familiar. Monster Jam: Path of Destruction is the fourth game in the Monster Jam video game series, and it features 28 different trucks as seen in Monster Jam. Players can even create their own trucks by putting together over 1,000 parts. In Monster Jam: Path of Destruction, players engage in everything from circuit races to freestyle stunting over eight different stadiums, with each guarded by a different boss truck that players can unlock and play for themselves after defeating. Developed for Wii, Xbox 360, PlayStation 3, Nintendo DS, and PSP, Monster Jam: Path of Destruction certainly is rough around the edges, and it won't appeal to non-monster truck fans. But the game's vehicles handle quite realistically and provide a slight learning curve that should prove enjoyable for monster truck fans eager for a challenge. 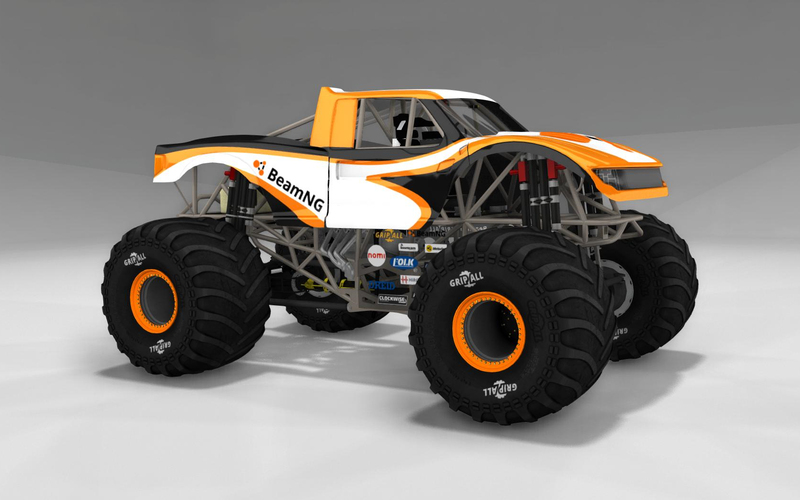 BeamNG.drive isn't your traditional monster truck game, in part because it's not just about driving a monster truck. In fact, the game wasn't designed with monster trucks in mind at all. That's because BeamNG is a realistic driving simulator that mimicks how real cars handle acceleration, turning, speeding, and car damage. The game has been hailed as a car fanatic's sandbox sim, and it's designed so players can create their own cars for the game. And yes, that includes monster trucks. The Revamped CRD Monster Truck lets players drive through a simulation of a monster truck, complete with real driving physics and the ability to crush cars underfoot. This mod perfectly replicates the horsepower and suspension found inreal world monster trucks, plus it can be used in BeamNG.drive's various minigames, making it an incredibly entertaining (and challenging) driving experience during races. To check out the CRD Monster Truck mod in action, watch YouTuber Neilogical's video showcasing the mod's latest version in action. 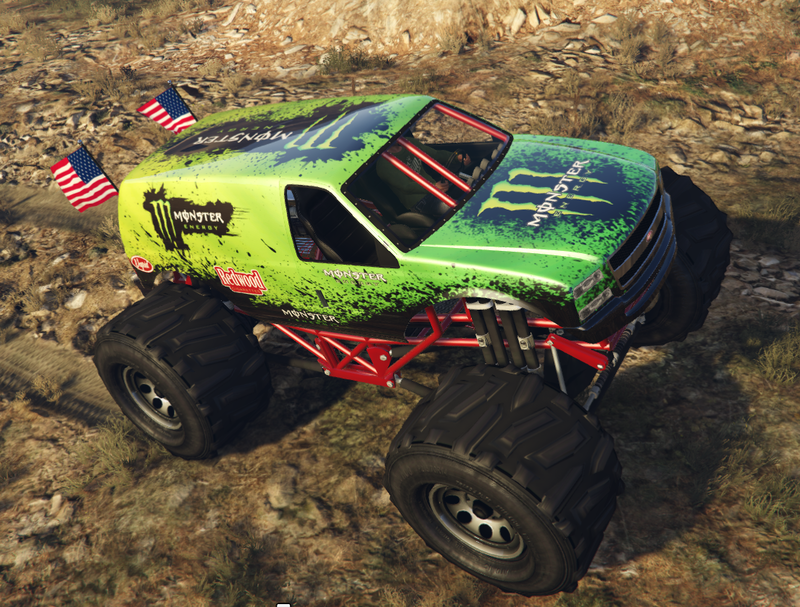 Just like BeamNG.drive, Grand Theft Auto V wasn't originally developed with monster trucks in mind. But that hasn't stopped the game's vibrant modding community from making it one of the best games for playing around with monster trucks. The Monster Jam Mega Pack, for instance, includes 13 different Monster Jam trucks, from Grave Digger to Monster Mutt. There's also individual monster trucks players can download and put in their game, too, such as the Monster Energy Monster Truck or the Ford Raptor Border Patrol Monster Truck. All three let players deal damage to nearby cars and crush police officers under their vehicles, making these mods perfect for the more destructive monster truck fans around. Meanwhile, Grand Theft Auto V and Grand Theft Auto Online both feature official monster trucks created by Rockstar Games: the Cheval Marshall and The Liberator. Both trucks are particularly fast for enormous, hulking monster trucks, plus they handle quite well. Not to mention, both vehicles can crush cars and withstand enormous damage before catching fire. For monster truck fans, it's worth owning these trucks for their sheer power alone.